"She should take my huge bear!!" This offer was absolutely precious to me because Lorelai is rather protective and particular in regards to her belongings. 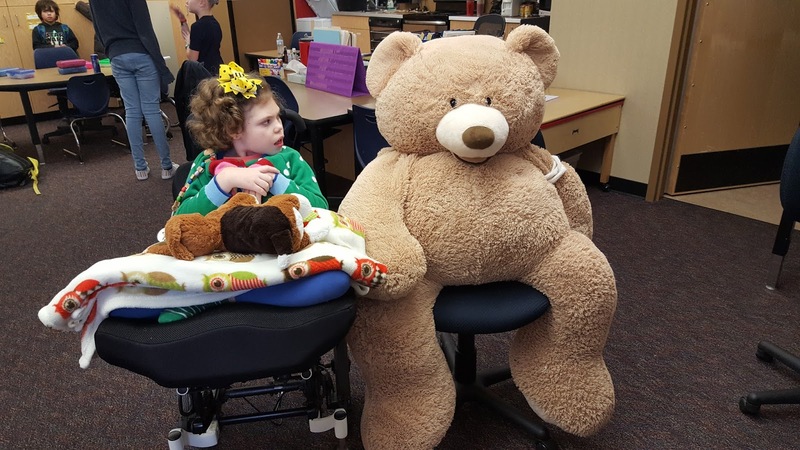 To offer up her greatest and grandest stuffed animal was a true expression of love. So we piled in said large-stuffed-animal into the van (the front passenger seat, no less) and took him along to school. 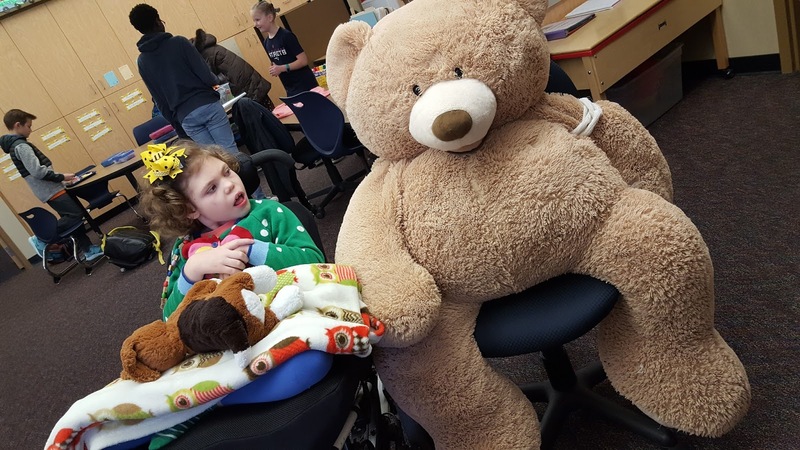 Once parked, I figured it would be easier to carry Elisabeth in and transport the bear via the wheelchair. Ha! What a sight it was!! "You new here?" asks Elisabeth.